GM plans to export China-made cars to U.S.
GM's sales gains in October are due mostly to product launches such as the new Chevrolet Equinox crossover, the Cadillac CTS sports wagon and the Buick LaCrosse sedan, Edmunds says. 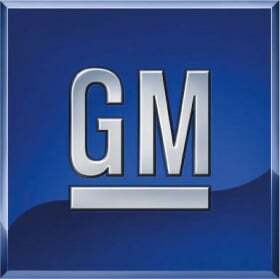 WASHINGTON -- General Motors plans to sell cars in the United States that it makes in China, starting in 2011. That could make GM the first major automaker to import Chinese cars to the U.S. market. The car maker expects to sell about 17,335 of the China-made vehicles in the United States in 2011, and triple that number to 51,546 in 2014, a planning document circulated by GM among U.S. lawmakers shows. The gains would come, the document says, as GMs total U.S. sales surge 50 percent in the next five years. The plans are subject to change pending the outcome of negotiations with the UAW. Many of these vehicles are likely to be small cars similar to the upcoming Chevy Spark, which will be built in South Korea, though the models will be different from any currently built in the United States by any automaker, an industry official said in an interview. Even at the higher 2014 level, though, cars from China would still account for only 1.6 percent of GMs 3.1 million total expected sales in the U.S. that year, the 12-page document says. The automaker is trying to meet a government-imposed June 1 deadline to restructure operations and cut over $40 billion in debt, or risk bankruptcy. The UAW has criticized GMs restructuring plan because of increases envisioned by the plan in U.S. sales of cars made overseas. UAW officials did not immediately respond to requests for comment. In a May 5 letter to senators, the UAW criticized GM plans to increase U.S. sales from other countries. GM should not be taking taxpayers money simply to finance the outsourcing of jobs to other countries, the letter from UAW legislative director Alan Reuther said. The GM document also reveals plans to sharply increase sales of cars it makes in Mexico and South Korea while reducing the number made in Canada. Mexico-made vehicles sold in the United States would jump from 317,763 in 2010 to 501,316 in 2014, according to the document. South Korea-made vehicles sold in the United States would more than quadruple from 36,967 in 2010 to 157,126 in 2014. On the other hand, Canada-made vehicles would fall from 431,708 in 2010 to 330,610 in 2014. GMs U.S.-made vehicles would hold steady during the five-year period at about two-thirds of the total sold domestically.